The world's first probe targeted at delivering high resolution on single biomolecules. 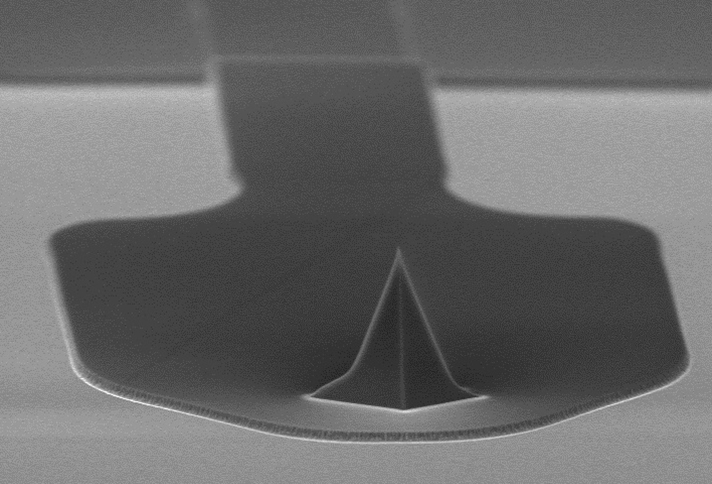 - Ultra-sharp probe optimized for PeakForce Tapping operation in fluid. 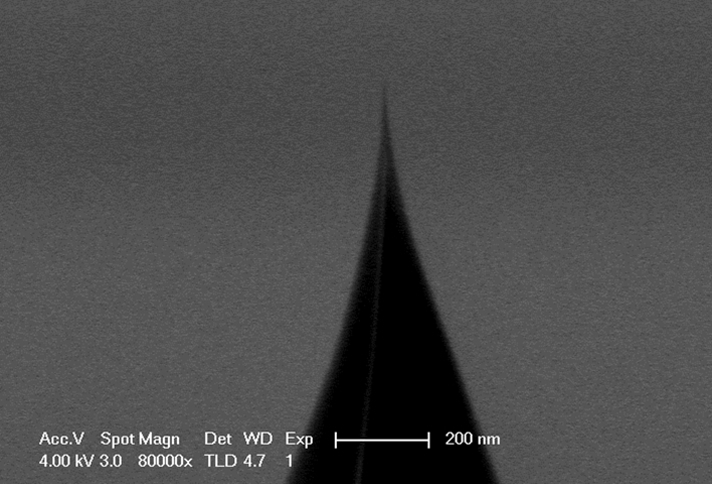 - Recommended for use with any PeakForce Tapping enabled Bruker AFM. - Recommended for highest resolution fluid imaging of individual, isolated bio-sample such as resolving the DNA double helix -- the BioAFM market's standard for demonstrating highest resolution performance. - Tips with 1 nm nominal end radius, 0.12 N/m spring constant. - Frequency in fluid ~30 kHz. - One pack of 10 probes.